Tyler Cox hangs Tough ALL WEEKEND LONG !!! Congrats to Tyler Cox, AKA COWBOY, as we all know him by. 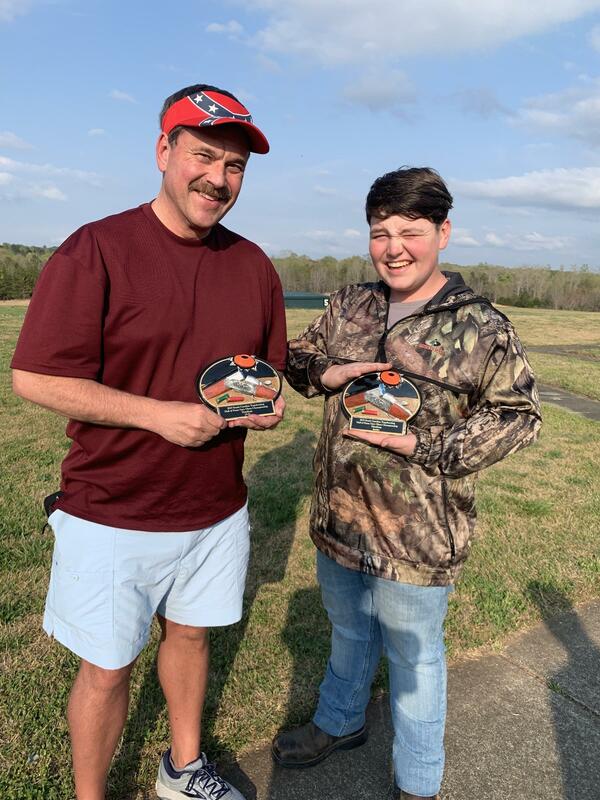 Tyler rocked the 2019 SC Gary Olsen Hall of Fame shoot Saturday by winning all 3 events in Jr. Singles, Caps and Doubles! He also had completed his goal of 50 Straight ATA targets and received his award. In Sunday's Championship Singles, Tyler held tight with his 92 to WIN again! CC Teammate Jack Williams hammered out a 90 in Handicap Sunday to finish as one of the top Sub Jrs. What a great weekend for the CC Trap shooters !!! !